According to the San Marino Tribune, a judge has dismissed what remained of Guns N’ Roses singer Axl Rose’s lawsuit alleging Activision Blizzard Inc. broke a promise not to use images of ex-bandmate Slash or songs by the guitarist’s new band in the “Guitar Hero III: Legends of Rock” video game. Los Angeles Superior Court Judge Charles Palmer heard more than two hours of arguments concerning the lawsuit’s contract claims before taking the case under submission on Jan. 31. On Thursday, he affirmed his tentative ruling and tossed out the remaining causes of action. Last August Palmer threw out Rose’s fraud and misrepresentation claims because they were filed too late, but spared the contract causes of action. Activision lawyers subsequently filed another dismissal motion and this time Palmer agreed the contract claims also should be dismissed. Rose lawyer Geoffrey Neri said during the Jan. 31 hearing that the singer agreed to allow the use of “Welcome To The Jungle” in the video game only if no images of the old GNR lineup, or of Slash’s subsequent band, Velvet Revolver, were used. 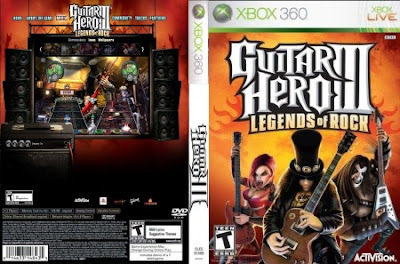 “Guitar Hero III” has generated significantly more than $1 billion for Activision, according to the singer’s lawsuit, filed in November 2010.